← Eat, Fast and Live Longer. A 5-2 Fast Day Recipe Idea Under 200 Calories. Poached Egg With Prosciutto Wrapped Asparagus Soldiers. 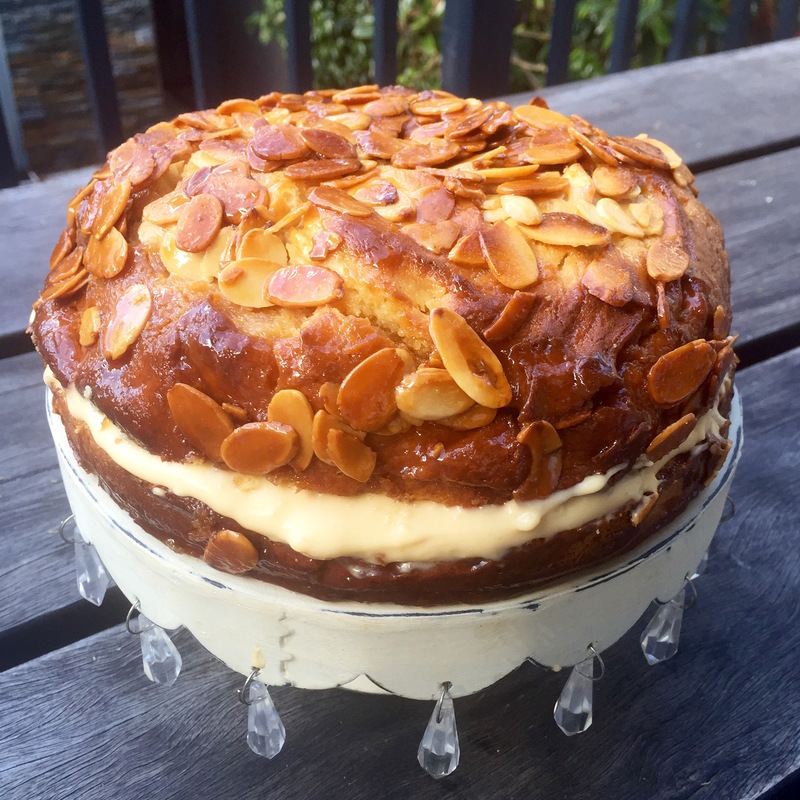 This entry was posted in Baked, What I Love to Cook and tagged Afternoon Tea, Almond, Baking, Bienenstich, Brunch, Cake, Caramel, Custard, German, honey, Made From Scratch, Yeast. Bookmark the permalink. 10 Responses to Like Bees To A Honey Pot. Bienenstich. 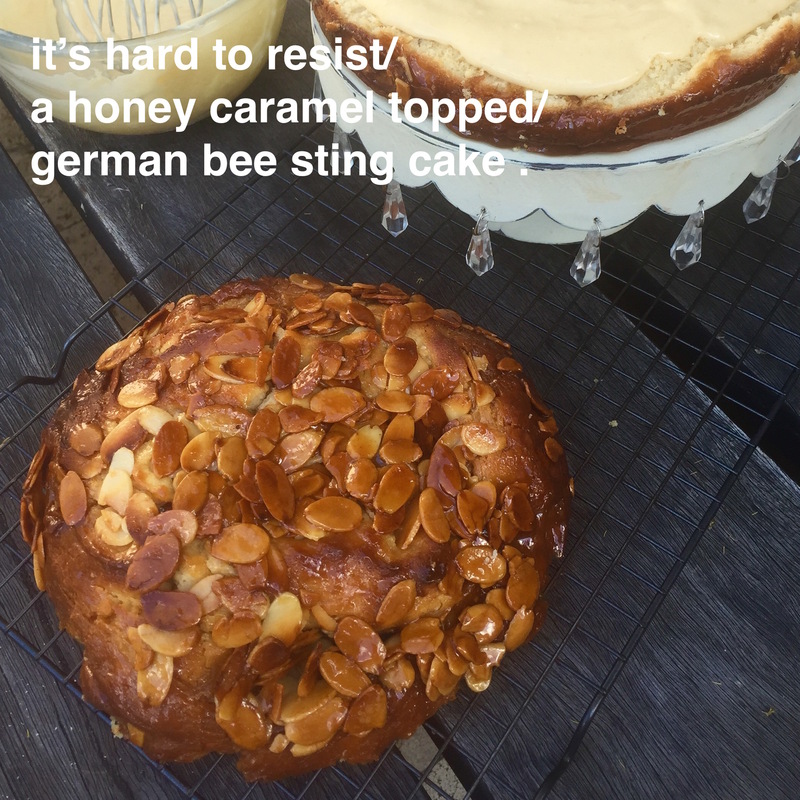 German Bee Sting Cake. There’s no kneading involved so this would be the perfect recipe to start with for anyone who hasn’t had a lot of experience baking with yeast. The trick is to make sure the yeast is properly activated – if it doesn’t froth when added to the milk the cake won’t rise. The dough is too soft in this recipe to knead but is easily beaten by a regular electric mixer. Breaking down the recipe into the three elements makes the whole process much easier. It’s time consuming only because of the proving time needed. I do hope you try it. The folklore is fascinating. I’d always assumed that it was so named because the honey topping was so irresistible to bees that the baker was stung! Ha, that’s really cute, I like it! This looks wonderful! I’d never heard of it until now, I’ll be trying it out – I love creme patissiere! Thank you. I hope you do – it is delicious. This is a beautiful cake! I especially love yeasted cakes as well. So good to know about this! I’ve just rediscovered yeasted coffee cakes with streusel toppings. I guess this is a fancier version – so decadently delicious with the creme patisserie filling.